Your donation enables the Sangha to serve you and hundreds of thousands of spiritual seekers. For many of them, the Online Family will be a spiritual lifeline. 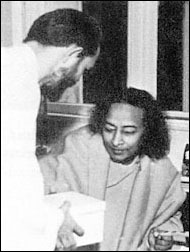 There is so much we want to make available of Yogananda’s and Kriyananda’s wisdom, and so much being generated every day by their descendants. In the first year of operations, Sangha’s most important and ambitious project has been to offer daily live broadcasts. Throughout each week meditations and satsangs have been broadcast in six languages: Italian, English, German,Dutch and Greek. A small loan was given to Sangha to get started, which has been used to construct a small recording studio inside Jyoti Kutir and to purchase the basic equipment. Your donations will enable Sangha to expand its offerings and improve the transmitting capacities. 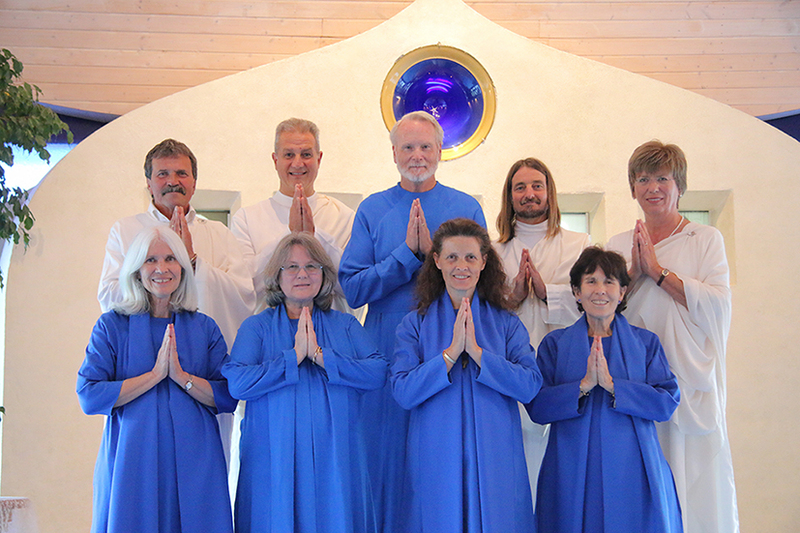 In recent years there have been six initiations annually at Ananda Assisi, and other initiations, Kriya retreats, and Kriya preparation programs in Spain, Holland, England, Czech Republic and Russia. In 2016 we planed to continue our Kriya presence in these places, and to extend these services to other cities and countries. The new Spiritual Family Online possibilities include weekly guided Kriya meditations and satsangs, online preparation courses, and individual Kriya counselling. An extensive web site, which you are now visiting, is being developed. It will contain thousands of items of inspiration from Swami Kriyanada’s lifetime of writing and teachings, and the continuing inspiration from his descendants. A web team has been established to maintain and expand the offerings on a weekly basis, and to translate the site into other languages. Nearly a hundred programs are given each year in Europe by Ananda teachers. These include public conferences and seminars, retreats, Kriya Initiations, programs for meditation groups, and Ananda Yoga retreats and intensives. In 2016 the Sangha hopes to extend these services to more countries and cities. The Ananda Prayer Circle currently has 150 members who pray daily for over 500 people. Sangha’s hope for 2016 is to involve at least another 100 members, and be able to receive more prayer requests. Moksha Kutir (formerly called “Seva Kutir”) was built for Swami Kriyananda in 1996 and was his home during his residence at Ananda Assisi from 1996 until 2003, and thereafter during his annual visits. He wrote many of his most important books in this house, which is permeated with the vibrations of his meditations, and also spent the final two months of his life here. It was renamed “Moksha Kutir” after his passing here on 21 April, 2013, and is now maintained as a meditation shrine. It is also the official headquarters of Ananda Sangha Europa. In 2016 the Sangha hopes to assume the ongoing expenses of the house and hopes to help with the larger maintenance projects. The following year we hope to have an expansion project that will enable more people to meditate inside, and will some day include gardens similar to those at Crystal Hermitage, Swamiji’s home at Ananda World Brotherhood Village. This fund offers financial assistance to devotees who wish to study at Ananda Assisi for their discipleship, Kriya preparation, Kriya initiation, or meditation teacher trainings courses. These people then return to their countries with greater inner strength and skills for spreading the teachings of Self-realization. The Sangha supports a charitable trust in India that offers assistance to widows in Varanasi, as well as to local non-profits organizations that help refugees. To sustain the above activities in an energetic and creative way, Sangha will need to spend a certain budget this year. 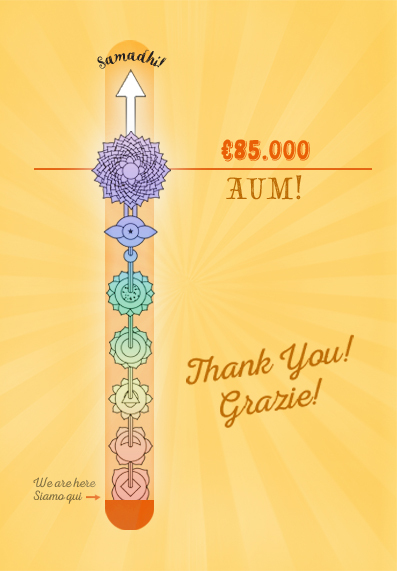 Your contribution touches the hearts and souls of many, as the teachings of Self-realization become more widely available. “Divine Mother, we offer to Thee the fruit of our labors. You can make your donation during your visit to Ananda, by cash, credit card or check. If you would like to serve the Sangha with some of your time, talents, energy, creativity, discover here some “service opportunities,” and you can also add your own ideas. We offer to Thee the fruit of our labors. Shivani is delighted to know your ideas for ways in which to expand Sangha’s offerings and support system.